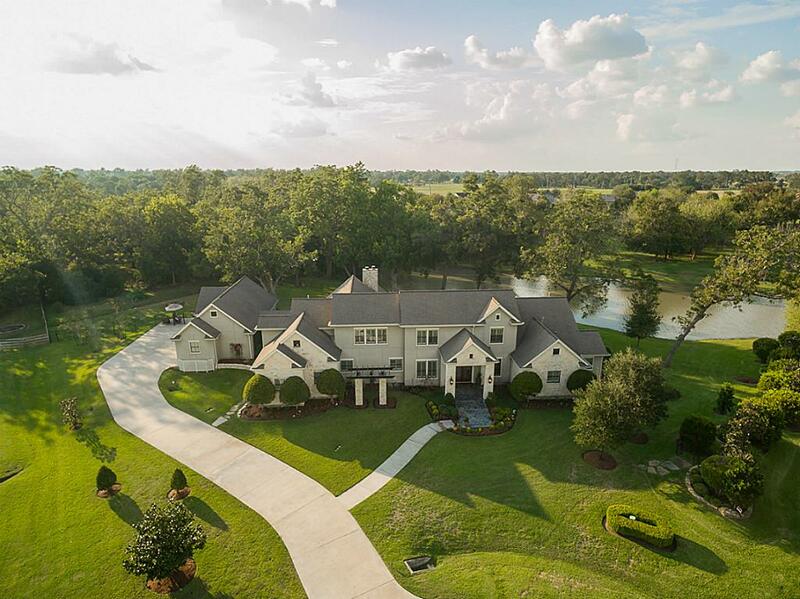 This gorgeous custom home has a well-designed floor plan for every day, luxury living. Beautiful hardwood floors thru most of the home, along w/ stone and wood beam accents. Open space kitchen features exotic granite and a Wolf 6-burner gas range w/ griddle and convection oven. Well-appointed master suite w/ French doors, his & her sinks, his & her closets w/ built-ins, free-standing spa tub & custom shower. Relax on the extensive covered patio with outdoor kitchen, pool, and serene country views.